Afyare Abdi Elmi : Jerome Jarre’s viral hashtag, #TurkishAirlinesHelpSomalia, was yet another attempt to draw worldwide attention to the famine in the Somali peninsula, but the Somali people are in need of both an organised, short-term as well as a long-term response to ensure that this crisis is contained, and does not happen in the future. In early March, the United Nations Secretary-General Antonio Guterres, paid an unannounced yet timely visit to Somalia in order to mobilise the international community to help rescue the people who were affected by the drought. In their book Famine in Somalia, Daniel Maxwell and Nisar Majid rightly characterised the responses to this famine as “collective failures”. First, the Turkish model combined aid and development. 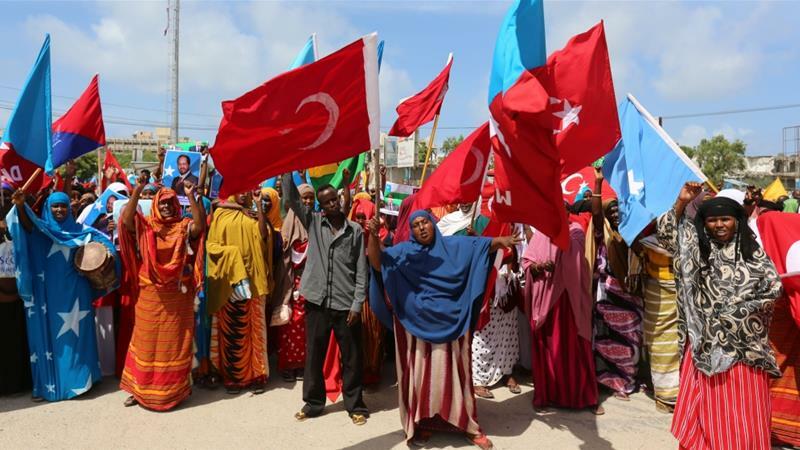 For instance, in 2012-2014, the Turkish Red Crescent managed the Rajo camp for the 29,000 internally displaced people in Mogadishu.